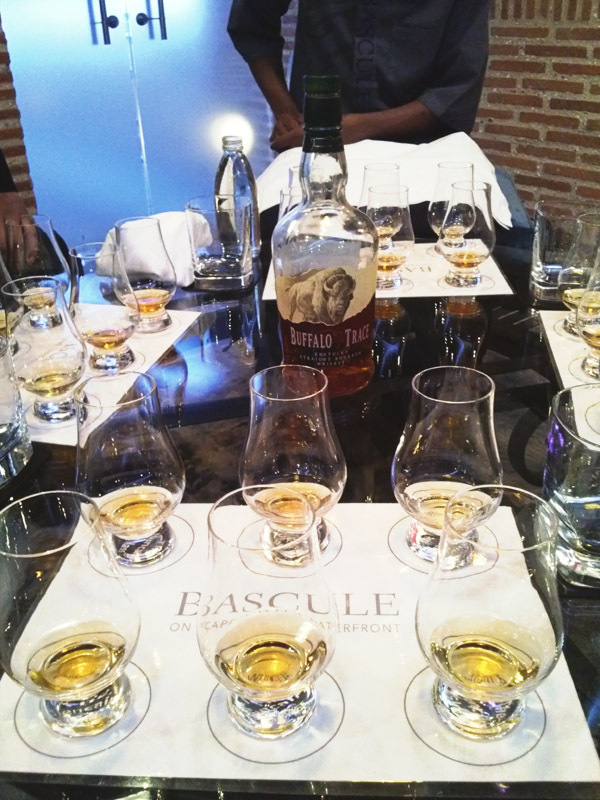 A few weeks ago I had the honorable pleasure of helping out a bud by using up one of his birthday presents – two whisky tastings at the Bascule Bar at the Cape Grace Hotel. 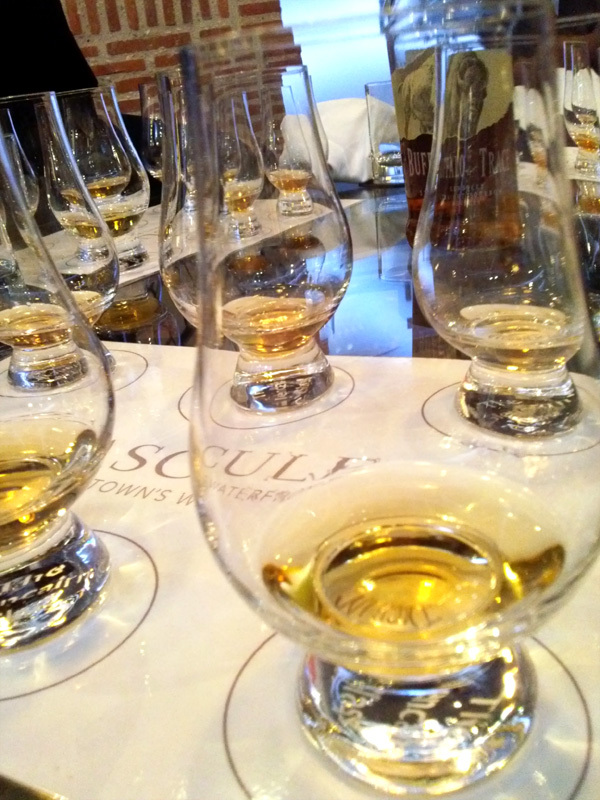 … And welcome to the Taste of Whisky! A little background is in order to better understand the impact of the tasting; this story seems to be a familiar one. Maybe it was because it was my first “man-venture” since being married, or it could have been the Bascule Bar’s slightly old-world feel, or even the feel of unlit cigars in my jacket pocket, or it could have been all of them, but I was feeling like a magnate certain of victory, and my empire would span across the continents. It’s probably quite obvious now that when I get into the mood for something I really get stuck in. Raisins, butterscotch, fresh cut grass and Dettol?! We learnt later in the evening that the hotel sends some of their staff to Scotland for a few months to experience and learn about Whisky. That made complete sense when we met Ludwig, our tasting tutor, whose unbridled passion was infectious. It was almost, and if I were in his position it would not be ‘almost’, as if he spoke at break-neck speed so that we could get to the next Whiskey, which would almost undoubtedly be better than the last. The tasting was by no means rushed, but he did speak with the urgency of Tesla wanting to show you all of his new and fantastical inventions. Islay Malts (Coal Ila 12y or Laphroaig Quarter Cask or Ardbeg 10y) we had the Laphroaig. I can’t wait to try the next level tasting course! 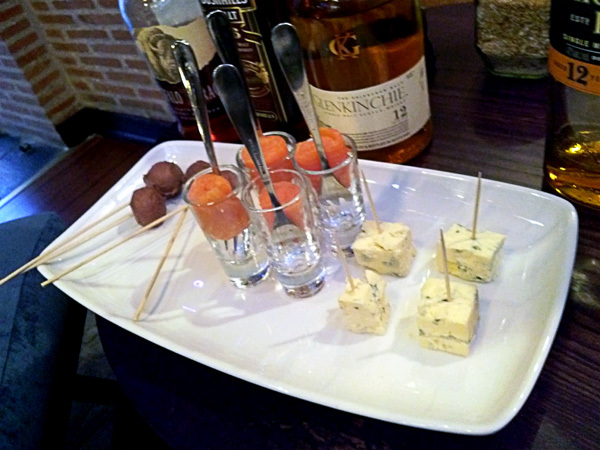 Chocolate, smoked salmon and blue cheese – what’s there not to like? The last three are paired with Chocolate truffle, Smoked Salmon, and a small brick of blue cheese, all worked amazingly (and surprisingly) well, especially after “releasing the serpent” -which is the addition of water which drastically mellows out the whiskey, and should be renamed “releasing the marshmallow worm” in my opinion. 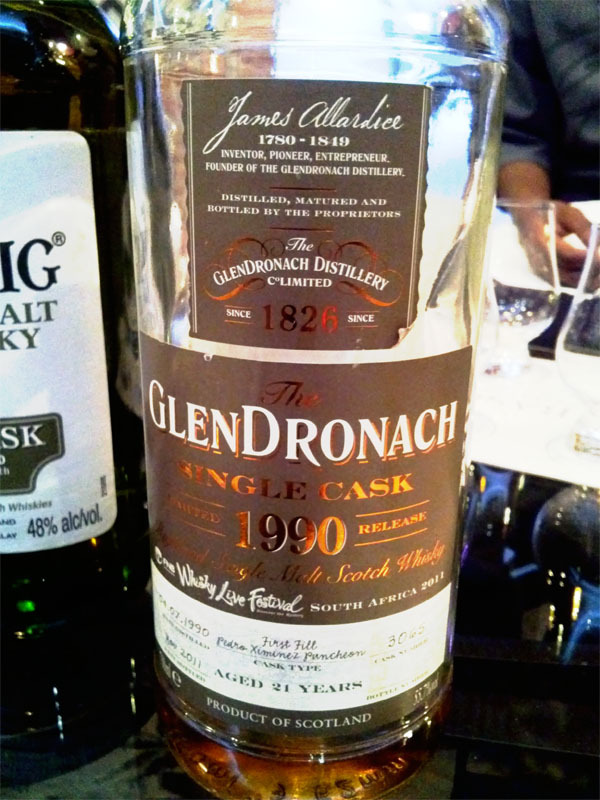 At the end of the tasting we were treated with something from the Sommelier’s Choice tasting – a rare 21yr Glendronach single cask ‘Limited Release’ whiskey. I must admit, if I could get my hands on this it would be reserved for the day I make my first million, the day I finish my best selling series of novels, and the day my first child comes into the world (I think I might have some time to find a bottle). I felt like a true captain of industry drinking this. English is my 2nd language so I can’t explain how amazing this is… my first language is grunting. We ended the night outside staring at yachts, some seals, with cigar smoke drifting into the night and familiar tunes from the cover-band still echoing in our heads. It had been a very good evening. I was not reimbursed in anyway for this review of their Bascule bar whisky tasting and these rambling thoughts are my own.